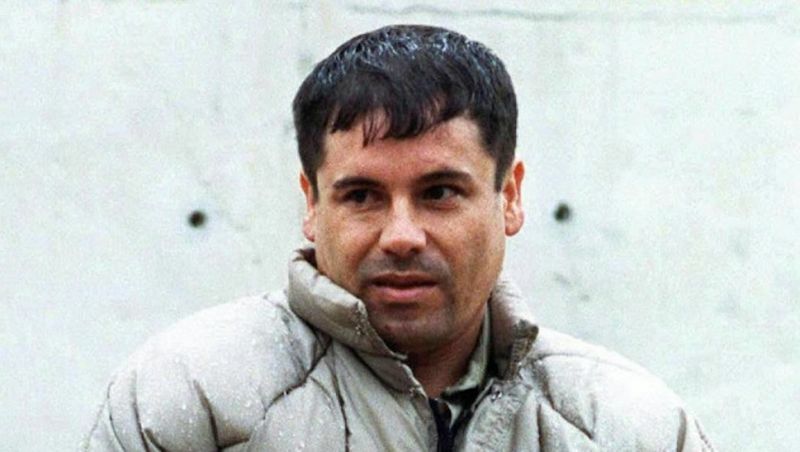 Joaquín "El Chapo" Guzmán Loera, the kingpin of the Sinaloa drug cartel in Mexico, was captured by a Mexican-led operation today, ending a 13-year chase for the notorious drug boss. Here is a photo of his arrest. "El Chapo," which means "shorty," had evaded US arrest for years, even breaking out of prison by escaping through a laundry basket in 2001. In 2012, the New York Times Magazine ran an extensive story on how the Sinaloa cartel made its fortune, stating that "Guzmán's organization is responsible for as much as half of the illegal narcotics imported into the United States from Mexico each year." No one knows how many people work for Sinaloa, and the range of estimates is comically broad. Malcolm Beith, the author of a recent book about Chapo, posits that at any given moment, the drug lord may have 150,000 people working for him. This is why apprehension of Guzmán is so remarkable and is being pinned as "the drug world equivalent of the take down of Osama bin Laden." The Justice Department estimated that Mexican and Colombian drug cartels reap anywhere from $18 billion to $39 billion of drug sales in the United States every year, making the Sinaloa cartel's profits out to be around $3 billion per annum. From the remote mountain redoubt where he is believed to be hiding, surrounded at all times by a battery of gunmen, Chapo oversees a logistical network that is as sophisticated, in some ways, as that of Amazon or U.P.S. — doubly sophisticated, when you think about it, because traffickers must move both their product and their profits in secret, and constantly maneuver to avoid death or arrest. Guzmán was captured in Mazatlán, at a beach resort outside of Sinaloa, and no shots were fired. Details are still scarce, but for someone who exhibited the ingenuity to cultivate marijuana fields in US-protected National Forest land in North Wisconsin, Chapo surely has tricks up his sleeve. In the late 1980s, Chapo was the first to hire an architect to build a super tunnel from Mexico to the United States, successfully smuggling cocaine underground to Los Angeles before airplanes could even land across the border. Since his original design, hundreds of tunnels have been attempted, and continue to get raided by border officials, in some cases yielding up to $12 million worth of drugs in marijuana and cocaine.